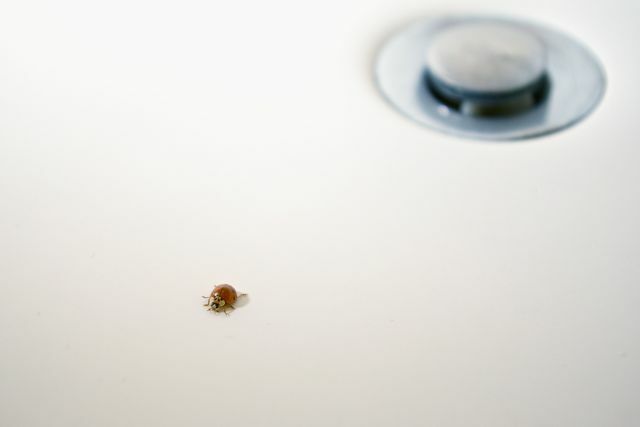 A few days ago, this ladybug appeared in our bathroom. It is a sign of good luck! Excellent perspective! I love ladybugs! I chased one down while on vacation but s/he was too quick for me! that is a great shot, great perspective indeed. oh, and i found her friend yesterday.